Quantum mechanics plays an important role in determining the structure and dynamics of water, down to the level of the atomic nuclei. Sometimes, nuclear quantum effects (NQEs) along different molecular axes compete with each other and partially cancel each other out. This phenomenon is thought to play a role in determining the melting and boiling temperatures of water. 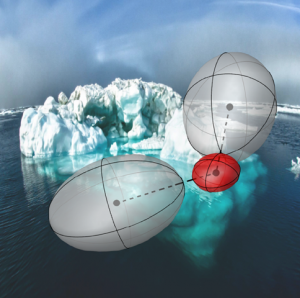 Now for the first time, scientists have experimentally observed that two large components of NQEs partially cancel each other out to result in a small net effect on the melting and boiling points of water.